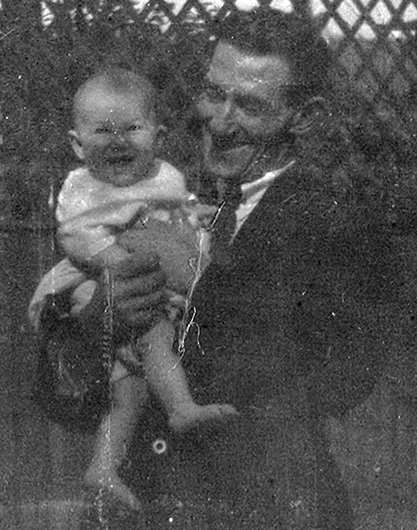 Herbert and Ivy Musgrove's first and only child was born at Ivy's parent's house at 60 Aberdeen Road Highbury on the 18th May 1922.There is some confusion concerning the child's name. 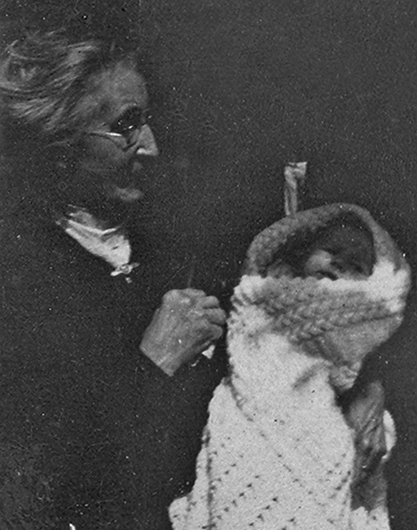 The Birth registration Index has two entries, firstly for Olive M Musgrove and secondly for Margaret B Musgrove. The only Birth Certificate existing is shown above and this is for Olive Myra Musgrove. 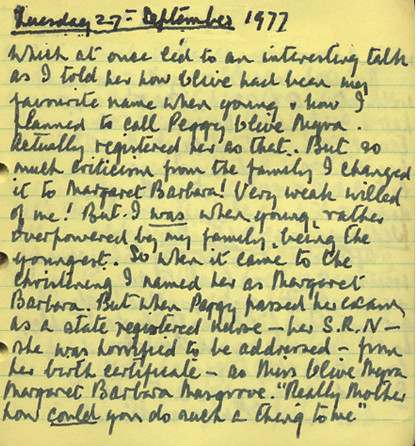 The explanation is shown many years later in Ivy Musgrove's personal Diary for 1972.Appearently the name Olive Myra was so disliked by the family that it was soon changed to Margaret Barbara.The two photos below show Peggy with her grandmother Alice Harris, and her father Herbert Musgrove.